The Food & Purchasing Subcommittee of NYU’s Sustainability Task Force will be having our last meeting of the year next Tuesday! As a group of ten students, faculty, and staff of the University, we’ve been meeting every other week since early October, and have made progress on several of our goals for the semester. On the Food side of things, two official and two unofficial members of the subcommittee were able to attend the Real Food Summit in early November: Annie Myers, Adam Brock, Shane Crary-Ross, and Veena Bontu. Following the Summit, Annie, Adam, and Shane met with NYU’s new district chef Jeramie Garlick at an event organized by Footprint Forward, and learned about the sustainability programs initiated by Aramark at NYU, particularly the Hayden Dining Hall Pilot Project. 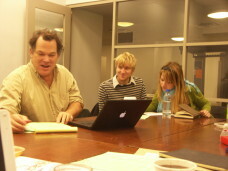 On November 14th, NYU Director of Energy and Sustainability Cecil Scheib and Sustainability Task Force Project Administrator Jeremy Friedman joined the Director of NYU Dining Services for “Understanding Sustainable Dining Options,” a web conference held by John Turenne of Sustainable Food Systems and Scott Berlin of UC Santa Cruz. Following the conference, NYU’s participants discussed the success of the Hayden Dining Hall Pilot Project and the potential for more sustainable food initiatives in the future. As a result of this discussion, the Sustainability Task Force is currently preparing a formal request for information about the food purchased at Hayden as well as all NYU Dining Halls, particularly whether it is local, organic, and/or fair trade, or conventional. As a committee, we have also compiled a list of barriers to making the food system at NYU more sustainable, as the Task Force is gathering information on the difficulties faced in each of the eight subcommittees. Finally, we are working on compiling “Sustainable Catering Guidelines” that will be distributed to the different departments at NYU next semester. Although a few buildings on campus are required to use Aramark catering, and others (the Law School, for example) have their own catering services, many schools and departments could potentially change their suppliers to caterers that use primarily local and organic products. 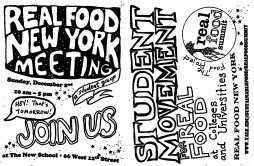 Our student members are also active members of Real Food New York. The Food & Purchasing Committee will be having our last meeting of the year next Tuesday, December 18th at 12:30pm. If you are affiliated with NYU, and are interested in being involved with sustainability efforts related to food or purchasing at the University, please contact ahm259@nyu.edu! This update was submitted by Alison Powell, a junior at Barnard College and active participant in Real Food New York.Barnard & Columbia students will be working together this year in collaboration with various student groups on campus to foster awareness around issues of Real Food in an attempt to shift the food culture.The group aims to influence food purchasing and ensure greater transparency in Columbia and Barnard Dining Services to meet the Real Food challenge goals, collaborate with the Office of Environmental Stewardship on green roofs & gardens, and integrate food into environmental campaigns in and outside the Columbia and Barnard communities. 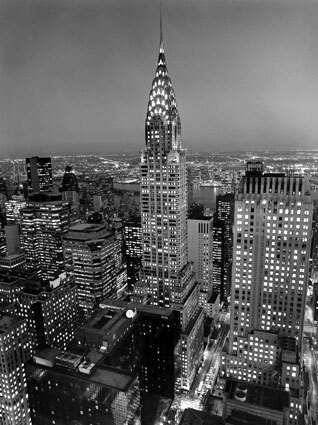 Real Food New York! On the Rise. More thoughtful reflection is on the way, but for the moment I want to announce that Real Food New York’s First Statewide Meeting was an outstanding success! A total of 21 students attended, representing 8 schools: Sarah Lawrence College, The New School (Eugene Lang and Parsons), New York University (Gallatin and the School of Social Work), Barnard College, Columbia University, Manhattan College, Rutgers, and Vassar. We were joined by guests Thomas Forster (Community Food Security Coalition), Kerry Trueman and Matt Rosenberg (Eating Liberally), and Bob Lewis (NY Department of Agriculture). Our upstate contingent sent their regrets, at not being able to attend, but we are planning more convenient meetings for them, to collaborate in the near future!